Mohammad Aamer, a left-arm pace bowler, reveres Wasim Akram. Over 2007 and 2008, he also emerged, improbably young still, as a hot pace prospect. Even before he went to England on an U-19 tour, he had been selected out as a special talent by Wasim Akram himself at a pace camp he oversaw in Lahore in May 2007. After, his 4 for 30 helped Pakistan success in the third match of the one-day series against England in 2007, and he finished the series with eight wickets at 16.37 respectively. He had a great start to 2008, with two successive four-wicket hauls in Pakistan's win in the tri-nation tournament in Sri Lanka, relating the hosts and England. He ended with nine wickets from three games at 11.22. He was set to star at the U-19 World Cup in Malaysia but his tournament was cut short by the dengue disease. But in 2009, his career really took off. He began with an remarkable performance on the domestic circuit, impress one and all with his whippy pace and swing. He took 55 wickets for National Bank of Pakistan in his debut season, and earned selection to the Pakistan World Twenty20 squad. There he hit the big time, taking over from an out-of-sorts Sohail Tanvir and bowling with pace, accuracy and bravery. He hovered in the high 80mphs, touching even 90 on occasion and was a crucial opening link in Pakistan's title run. 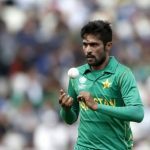 Find Mohammad Amir profile and stats of batting, bowling and fielding including latest updated news of Mohammad Amir, videos and images at Hamariweb.com. 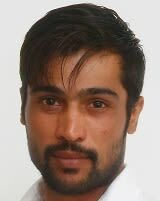 Also find detail Player profile and career statistics of Mohammad Amir of Pakistan. Muhammad Amir is the main bowler of Pakistan in the current squad, currently I see him in action in PSL. In Karachi Kings squad he is the key bowler who delivered many economical spells. All the best aamir u are really and fantastic bowler. Muhammad Ameer is the most impressive bowler, I specially like the spell of him against UAE, he bowled four overs and just gave six runs. I hope he will do more good in the world cup T20. The bowling of Muhammad Amir is quiet impressive in a very young age, I specially like his full length delivery which he bowl with full pace. Some times he also bat in a crucial stage. Such a fine career of Muhammad Aamer according to his cricketing ability but every one knows that the spot fixing scandal make an important role to destroy his career but we are very hopeful that he will start his career again. Mohammad Aamer come back soon pakistan team needs you. and do work hard and came with the bang.. wish you all the best and i know you have learn alot from you mistakes know you will play for pakistan. I have this type of player who wants short cut to earn money, although he was a very talented but the whole pakistani nation feel shame of him. 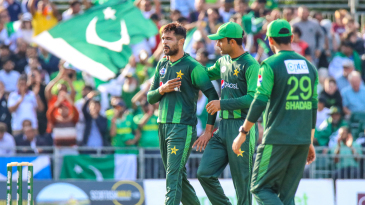 Mohammad Amir - Find Mohammad Amir of Pakistan Cricket Team complete player profile, number of matches, runs score, wickets & catches, Statistics, Records, Mohammad Amir Latest News, Mohammad Amir Videos, Mohammad Amir Photos, and other Mohammad Amir Cricket Team players.